Media note: Assange did not submit an asylum application to France. He published an open letter in Le Monde to Hollande and the public. Following the Friday frenzy over Assange’s open letter to “Hollande and the public,” published on the whistleblower’s 43rd birthday in Le Monde, WikiLeaks released a “media note,” stating the letter had not been an “explicit” application for asylum. Some hours later, France admitted that Assange had not asked for asylum, according to WikiLeaks, but said he “should submit” a request. The French refugee protection office (OFPRA) had not been sent an application, French authorities said, adding that they had felt the need to respond quickly, so as to nip the issue in the bud, as cited by WikiLeaks. “The answer [regarding asylum] was obvious, and also had to go fast,” officials explained. Baltasar Garzon, director of the whistleblower’s defense team, said Assange’s Friday letter was a “mere reaction” to statements made by Christiane Taubira, the French Minister of Justice. “Assange wanted to take this opportunity to remind the deep bonds that unite him with this country and show willingness to be hosted in France if, and only if, an initiative is taken by the competent authorities,” the statement said. In his address, the Australian activist, who has spent over three years inside the Ecuadorian embassy in London, welcomed the public statements by the French Justice Minister, who had said that Assange could be granted political asylum in France. Assange also revealed for the first time that his youngest child has a French mother. “I had to keep their existence secret until today in order to protect them,” the whistleblower said, adding that he hasn’t seen them for five years. This week, a number of French cultural figures, including director Jacques Audiard, actor Vincent Cassel and composer Jean Michel Jarre, signed a petition asking the French president to “act firmly” and grant political asylum to Julian Assange and Edward Snowden, who have been paying “the price of exile for their courage” for several years. 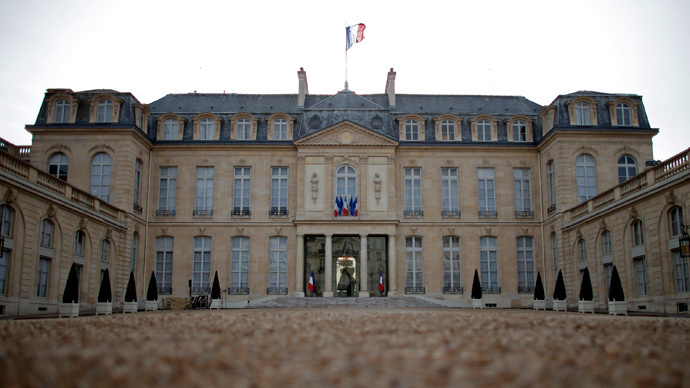 Saying that the whistleblowers have been “subjected to constant harassment... for revealing violation of the rights of millions of human beings and sovereignty of many states, including France,” the country has a duty to accommodate those “who are persecuted because of their fight for freedom,” the letter published on Mediapart, a French online journal, stated. In describing the poor conditions he’s been forced to endure for three years and ten days now, the whistleblower said he has only five and a half square meters for his private use. He has also been denied access to the sun and open air by UK authorities. “I have never been allowed out for exercise,” he said. He also pointed out that he would be unable to go to a hospital should he need medical assistance. “The UK refuses to recognize my asylum and guarantee my non-extradition to the United States, violating the 1951 Convention, and also refuses to confirm or deny receiving an extradition request from the US,” Assange wrote. Saying that he is “a journalist prosecuted and threatened with death by the US authorities because of my professional activities,” the WikiLeaks founder said his ordeal began in 2010, after he decided to publish a video showing the killing of several civilians by US soldiers in Iraq. “This video marked a before and after in my life,” he wrote.